Group ride with Petacchi and Jorg Jaksche! 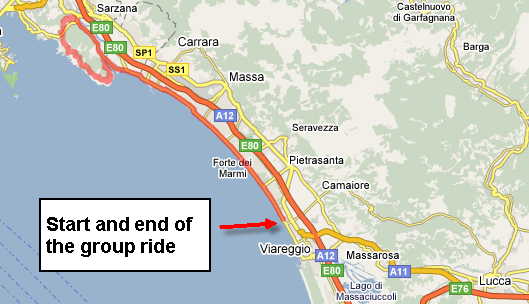 One side adventure I did while in Europe in October was to go on a group ride along the Tuscan coast of Italy between Viareggio and La Spezia. This was no ordinary group ride however. This ride meets everyday of the week, 365 days a year. Quit a few of pros who live in the region regularly show up and allow the local amateurs to test themselves against the top ranked pros. I showed up on a Friday morning at 9:30am and within about 15 minutes we had close to 100 riders heading out along the long boulevard along the beach. I used my Garmin Edge and SRM on this ride and they worked like a charm. 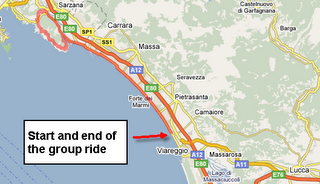 Take a look at the below link to see a map of the ride. I have also pasted in a screen shot of my SRM/WKO+ file from that day. 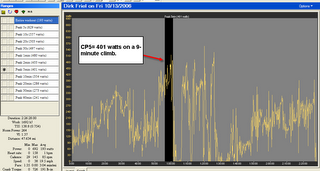 I posted a CP5 of 401 that happened on a 9-minute climb. 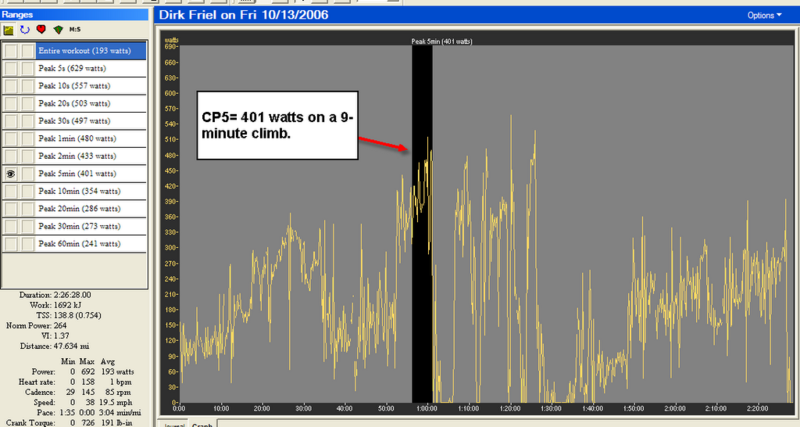 I had to hold 385 watts for 9 minutes just to hang on to the front group. I have also added a short video I made on the ride. This is a segment where I am on the back of a group of about eight guys. The front two riders, who are hard to see, are Petacchi and Jorg Jaksche. You can also see a Quickstep-Innergetic rider come off the back of the group near the end of the video. looks like a alan cromax training ride?